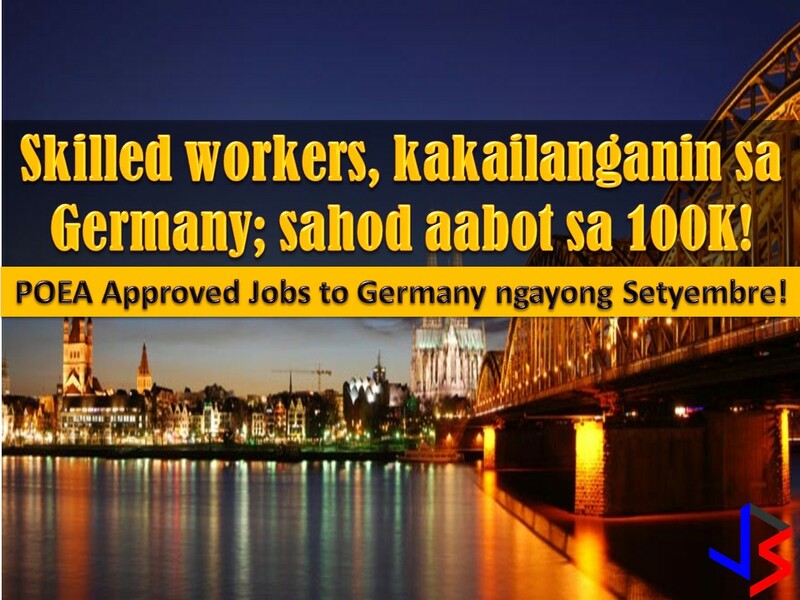 THOUGHTSKOTO Thoughtskoto : Skilled and Semi-Skilled Pinoy Workers, Will Be In Need in Germany! Skilled and Semi-Skilled Pinoy Workers, Will Be In Need in Germany! Aside from Singapore and Qatar, A country in Europe will soon open its doors to skilled and semi-skilled foreign workers, including Filipinos. What more good thing is that this opportunity in Germany will be open to foreign workers, regardless of age. GMA news cited the Philippine Association of Service Exporters, Inc (PASEI) report that Germany is set to open its labor force in the private sector. PSEI president Elsa Villa said Filipino workers who have worked in the Middle East for years stand to benefit in this development. 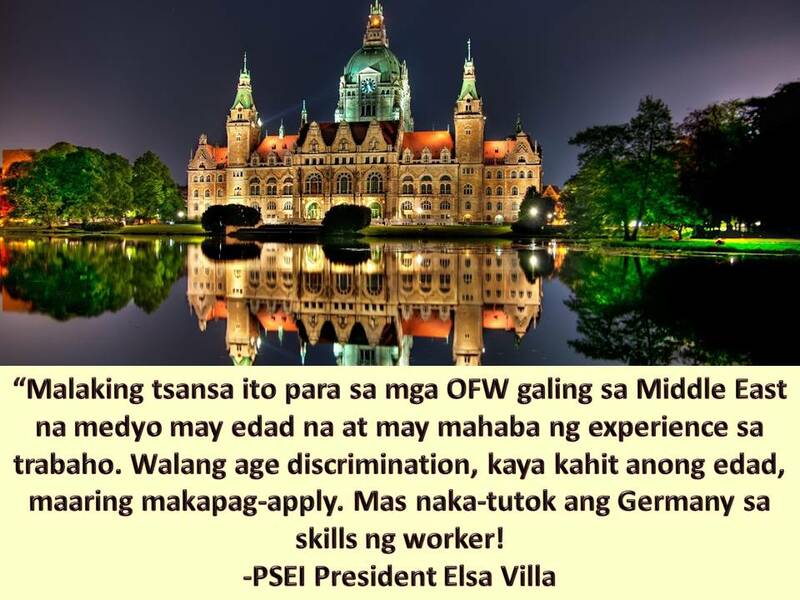 "Especially our workers coming from the Middle East na medyo may edad-edad na pero very experienced will have a chance because there's no age discrimination here," she said, referring to Germany. "They're more on the skill." The country will particularly need electricians, masons, welders, metal construction, mechatronics professionals, automation technology and construction electronics professionals. Workers skilled in pipe installation and maintenance, building construction, plumbing, sanitary, masonry and technical railways operations will also be needed. These jobs will give workers around P50,000 to P100,000 a month. Workers can even apply for residency if they work for the same company for at least two years. But before you get hired, you need to learn the German language and pass training to fit employer's standards though employers will pay for language training once they pass the initial application. As of the moment, the following are latest job orders to Germany from POEA Website.